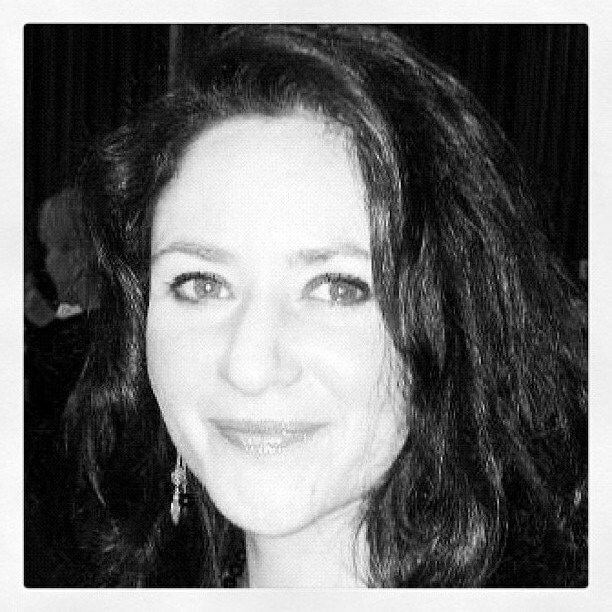 This week I interview debut author Ruth Jacobs. PDB: What can you tell us about your latest publication? 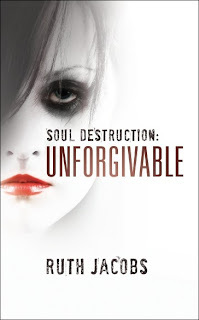 I was just about to begin there with Soul Destruction: Unforgivable, my novel released a couple of months ago, but actually the latest is a short story called Life and it’s free right now from Caffeine Nights http://www.caffeine-nights.com/download-shortshots.html. It’s about a father in his forties, Max, who’s addicted to crack and while high, he commits a crime of which he has no memory but for which he’s facing life in prison. 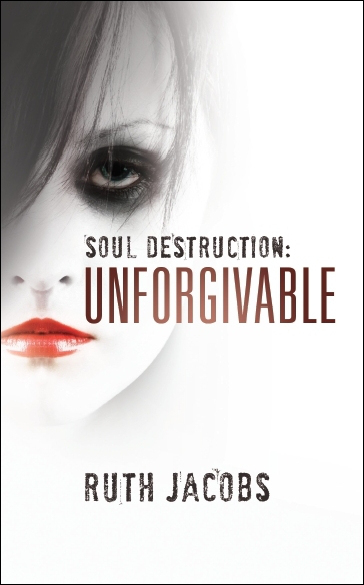 My novel, Soul Destruction: Unforgivable, follows Shelley Hansard, a drug addicted, London call girl who takes revenge on a client who raped her. PDB: How did you get involved with Caffeine Nights Publishing? I have fellow Caffeine Nights writer, Pete Sortwell, to thank for that. We were both making submissions last year and he’d sent his novel to Caffeine Nights and suggested I try too. I was so thrilled when we were both offered contracts with them. PDB: You're an avid user of social networks, blogs etc. Is it for business or pleasure? It’s to feed my addiction! Seriously, I do get caught up in social media and though it could be said that it’s a distraction, most often it’s because I become involved in something - whether that’s around writing or human rights issues in the areas of anti-sexual exploitation and anti-human trafficking. And I have met some wonderful people who I would never have known if it wasn’t for social media. PDB: Which other projects are you involved in at the moment? I’m planning the second novel in the Soul Destruction series, which had been started but I think it’s going to change and that means a new beginning. I am writing for a new online publication, Impolite Conversation, and the subject of my first article published this week http://impoliteconversation.co.uk/merseyside_model is about the Merseyside Model Campaign I am involved in. Currently, people in prostitution do not have the protection of the law and recourse to justice when they have been the victim of a crime. For that to happen the Merseyside hate crime model must be made UK wide. PDB: Do you have any writing projects coming up in the near future? I’ve a piece I need to start working on soon. Although the deadline isn’t until next year, it will require some research and most importantly, collaboration with survivors - it’s for an academic anthology on prostitution, so it’s something quite different for me. PDB: Where can people find out more about your writing? Paul D. Brazill is the author of Gumshoe and Guns Of Brixton. He was born in England and lives in Poland. He is an International Thriller Writers Inc member whose writing has been translated into Italian, Polish and Slovene. He has had writing published in various magazines and anthologies, including The Mammoth Books of Best British Crime 8 and 10, alongside the likes of Ian Rankin, Neil Gaiman and Lee Child. He edited the best- selling anthology True Brit Grit – with Luca Veste. HE BLOGS HERE.